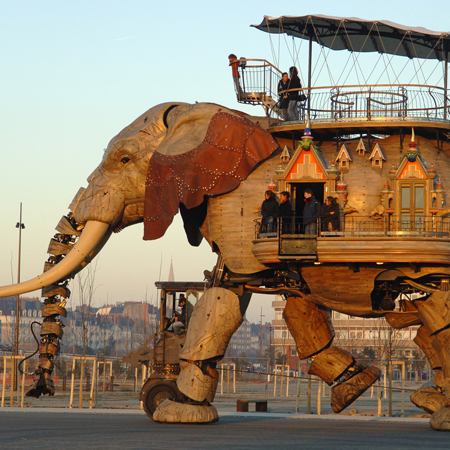 There is a kind of Steampunk fever spreading little by little over France. 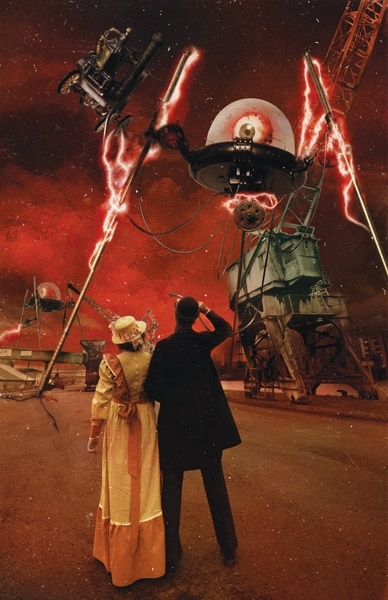 Now and then, clockwork designs, XIXth century flavoured ads, gears can be seen on TV, posters or magazines. I was browsing recently one of my favourite literature leaflet when I fell on Sam Van Olffen’s pictures. This artist is a young graphic sampler, as he likes to call himself, from Montpellier (South of France) who really deserves to be known among the Steampunk community. The artwork speaks for itself. 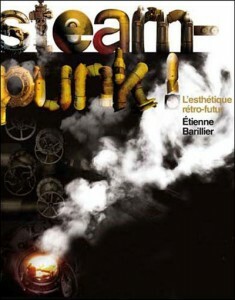 He worked for the music industry, publishing houses and also did the design of an retro-future exhibition. 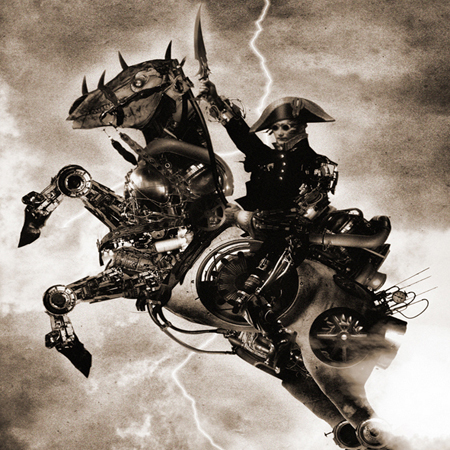 I personally enjoy that biomechanical Napoleon ! Blood, Backstabs, Bluff are the 3B’s of that wonderful French game. 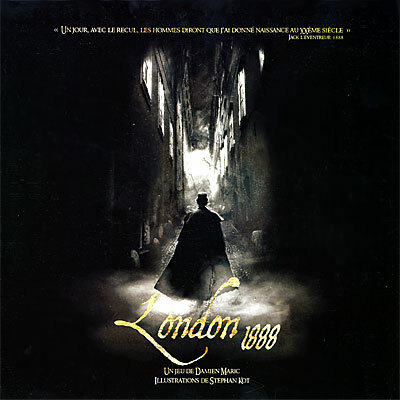 Part-board, part-role playing, part card, London 1888 is really a great social game in which each player is suspected to be Jack the Ripper and has to find out who is the real Whitechapel murderer before the last prostitute is sliced. Hours of game ahead of you. Riots, fog, rain and bobbies (and of course your game mates) will try to stop your quest for identity by any mean necessary. This game is not Steampunk strictly speaking, but a quick look at the design will appeal to any XIXth century lover. The board is brilliant and the cards are simply beautiful. Even the rule book is great! You can also have a look at the website which has an awesome design and its forum. An english version should be released soon.